If you go into your local Krispy Kremes and talk like a pirate they will give you a free donut! 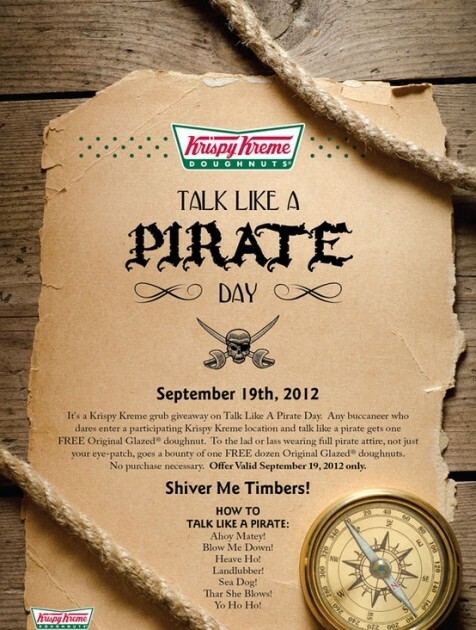 If you go in dressed like a pirate and talk like one too you get a dozen free!!! So put on those eye patches and boots and get your R's rolling off that tongue! Here is the info for all you daring souls!